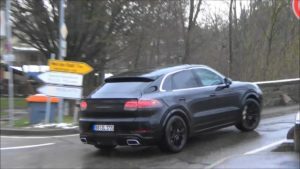 Porsche’s all-new Cayenne Coupe has been spotted testing once again. However, in contrast to the prototype in a base guise that was spied a few days ago, this particular model shows a potent side of the newcomer. 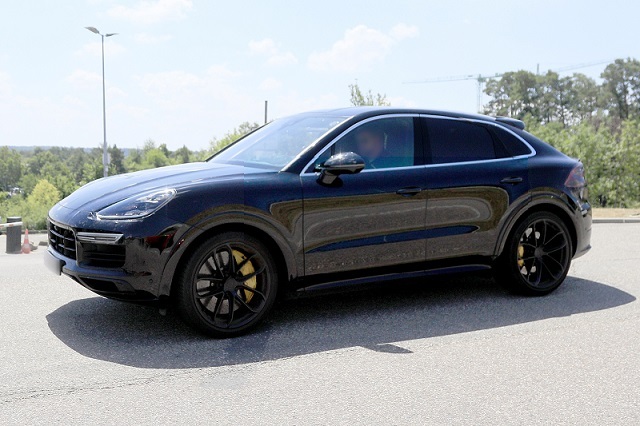 More precisely, the earlier testing SUV was paired with a V6 engine, while this one uses a V8 unit, which means that we are looking at the 2020 Porsche Cayenne Coupe Turbo. Even though it’s not going to be the topping option available, the “turbo” wheels of the Cayenne Coupe will get lots of power from the manufacturer’s 4.0-liter twin-turbo V8. The mill will reportedly deliver around 542 horsepower and 568 pound-feet of twist, which will feed Porsche’s all-wheel-drive system via an eight-speed automatic transmission. The vanilla 2020 Porsche Cayenne Coupe will most likely be a Turbo S E-Hybrid. The awesome option will use a plug-in hybrid powertrain that will mirror Panamera’s topping option, which gets a combined output of 680 horsepower and 627 pound-feet of twist. Regarding the spotted testing model, well, the coupe SUV uses yellow calipers which are essentially Porsche Carbon Ceramic Brakes. The feature is usually reserved for V8 models. The Cayenne with sloping rooflines and liftback rear end will essentially share pretty much everything with the regular non-coupe model. The biggest difference might be a slight lack of headroom in the back. As for the rest of the cabin, it should be identical. Meaning, the potential buyers can expect a 12.3-inch touchscreen infotainment system, an identical dashboard and gauge cluster, as well as premium sound system. The automaker won’t miss the chance to offer premium active safety features like Night Vision Assist, Lane Change Assist, Lane Keeping Assist and Traffic Jam Assist. 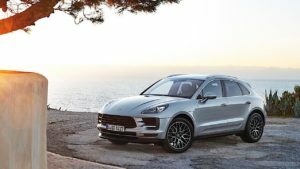 Just like the base V6 model, the 2020 Porsche Cayenne Coupe Turbo SUV will make the official debut sometime next year. This means that there will be more testing models in the coming months, so stay tuned for updates.